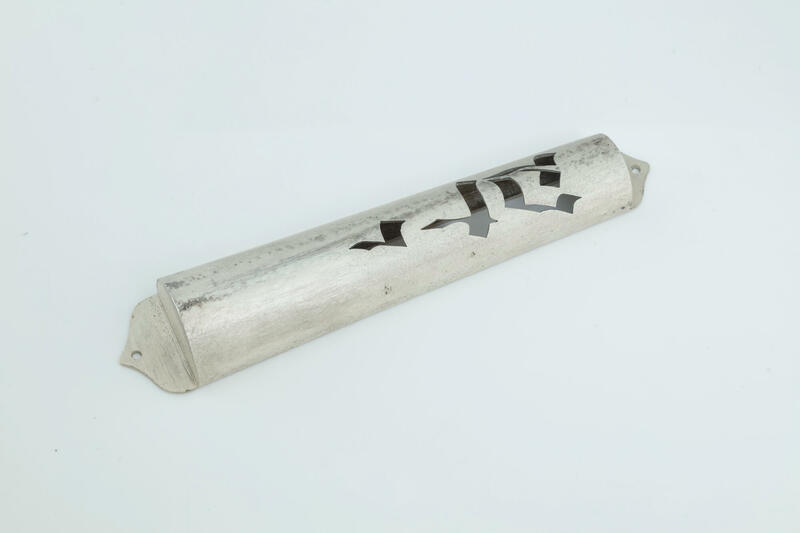 A STERLING SILVER MEZUZAH CASE BY CARMEL SHABI. Israel, c. 1990. Body cut out with lattice work design spelling out the letters Shin, Daled and yud. 5.7” long.